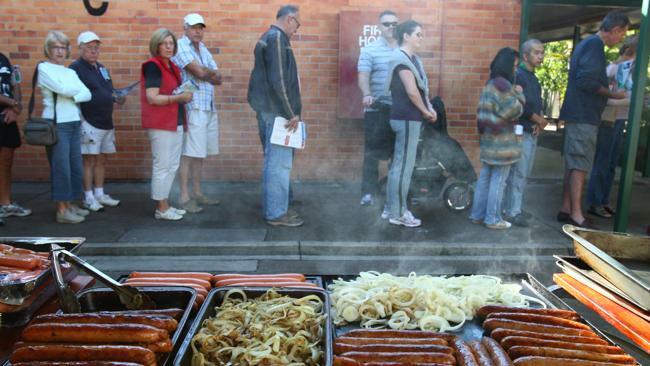 The Australian Greens have today called for the immediate banning of the traditional Election day sausage sizzle, saying that it is highly insensitive to vegetarians and the phallic nature of the sausage is intimidatory towards female voters. A spokesperson for Premier Mike Baird refused to be drawn into the debate whilst Opposition Leader Luke Foley asked us what Baird was doing and said he’d consult the Unions and get back to us. We didn’t dare raise the issue with the Shooters and Fishers party as they’re armed, and crazy. It depends on what they do with the sausage.